Everyone knows the firm with the best talent wins. And in this issue, we highlight the best young talent the profession has to offer. 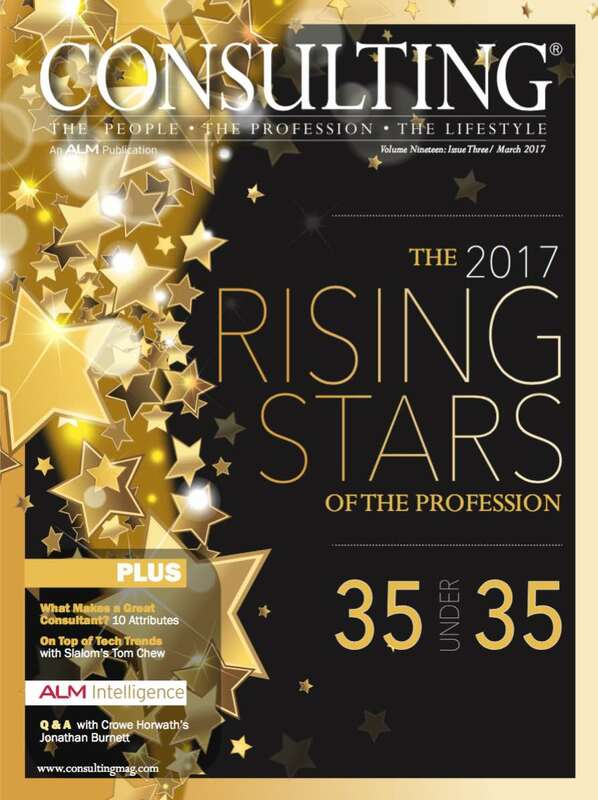 It's Consulting's annual Rising Stars of the Profession—35 Under 35. 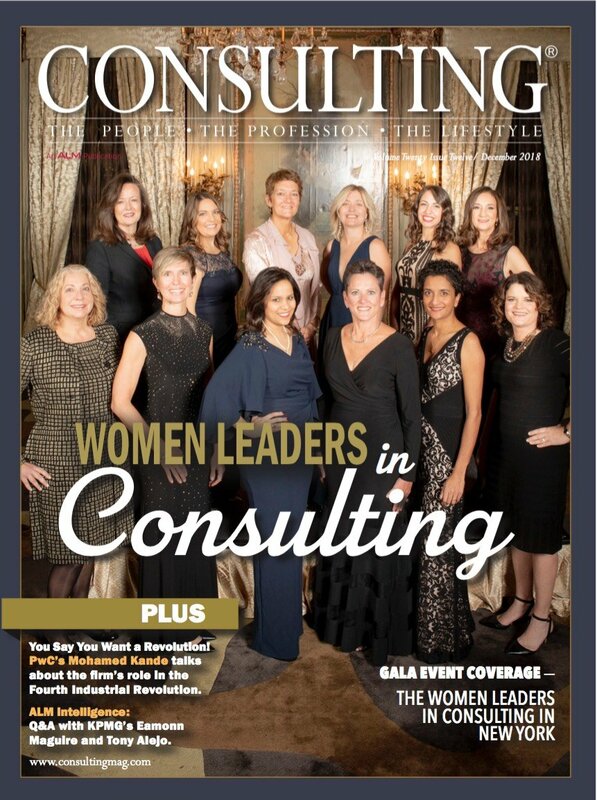 The Women Leaders in Consulting: Boston Consulting Group's Debbie Simpson took home the the Lifetime Achievement Award and coverage of the the 12th annual Gala Awards dinner at The Palace in New York City. 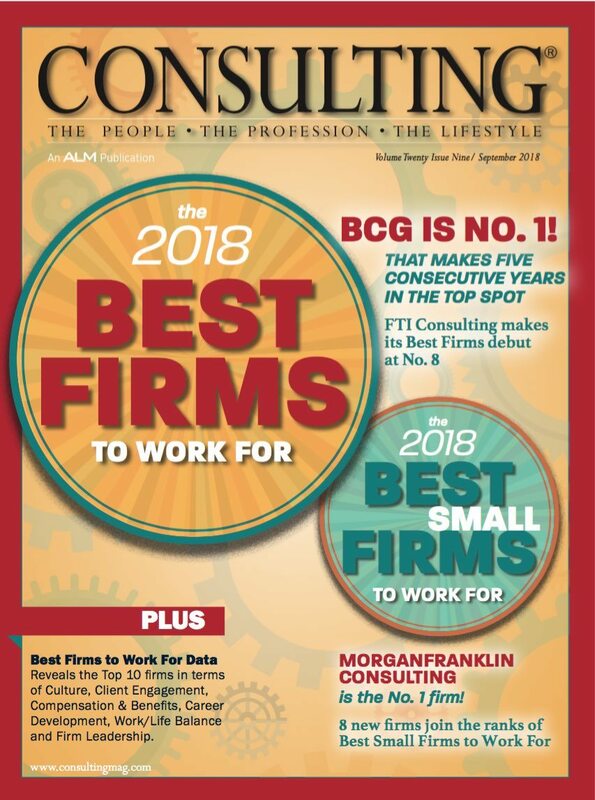 Consulting is out to recognize the firms that are disrupting the profession, and one of the best ways to do that, of course, is through growth. 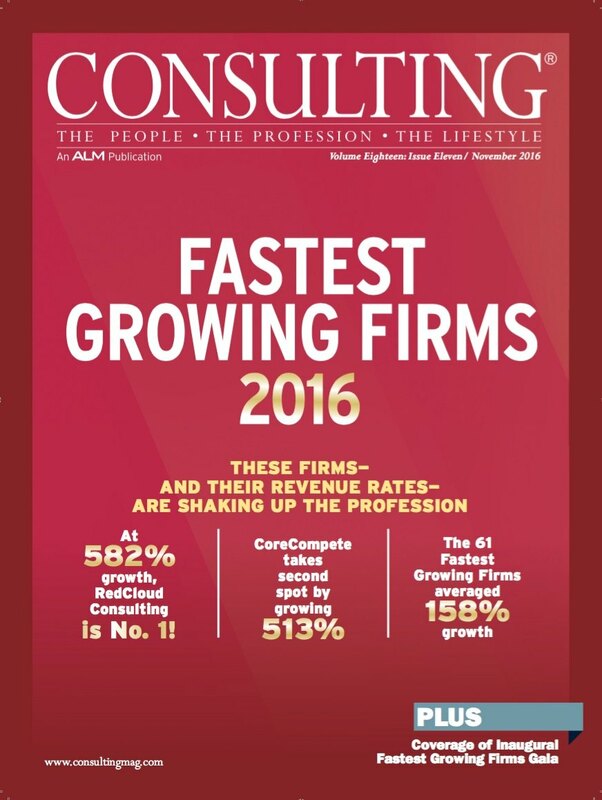 The Fastest Growing Firms shines a light on those firms that too often fly under the radar. 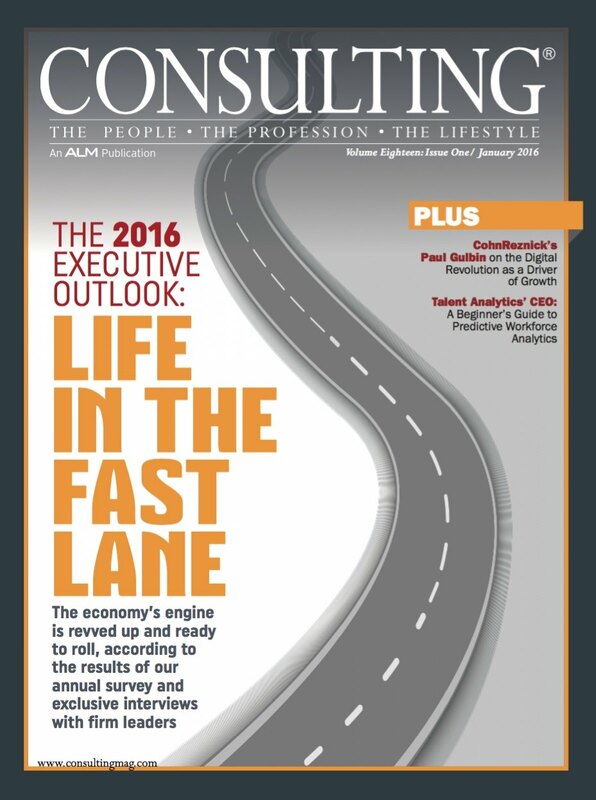 As talent takes center stage, there’s more focus than ever on compensation and benefits. 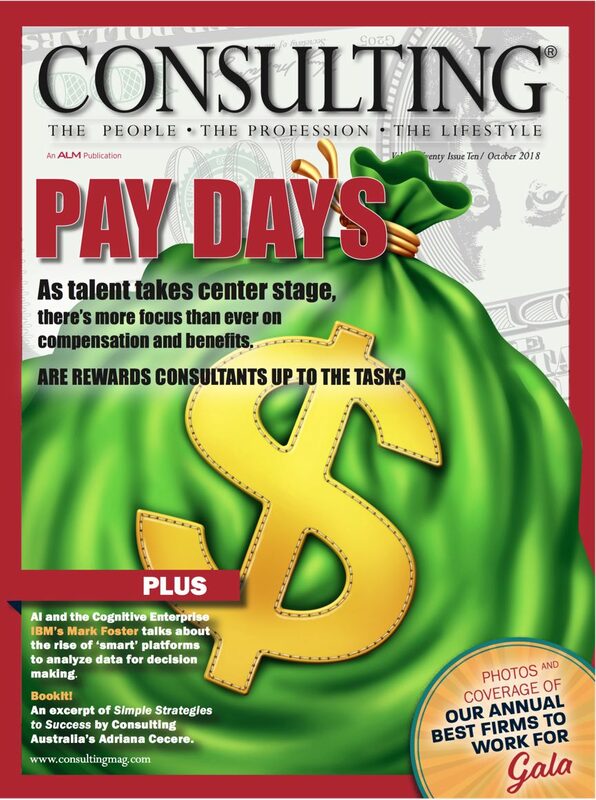 Are Rewards Consultants up to the task? Plus, the Best Firms to Work For Gala Awards coverage. 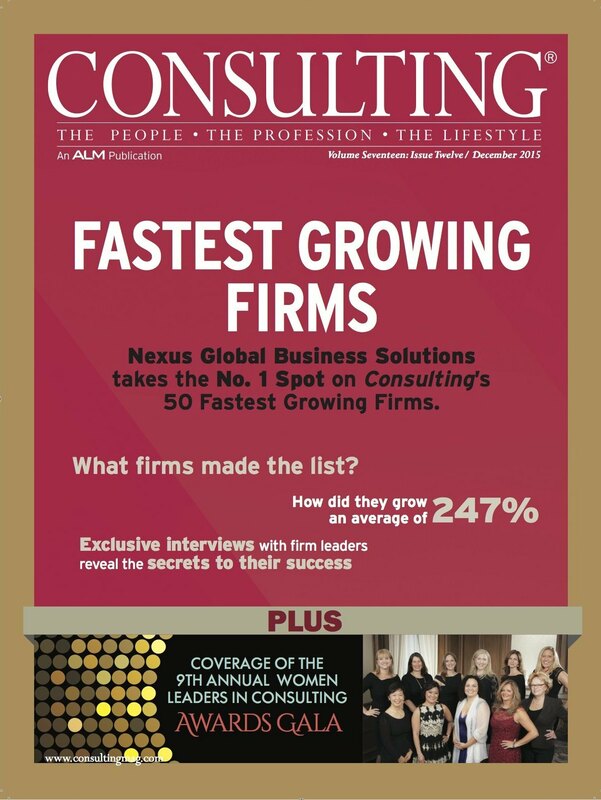 Make it five years and counting for The Boston Consulting Group as the No. 1 firm in our annual Best Firms to Work For survey. FTI Consulting makes its Best Firms to Work For debut at No. 8. 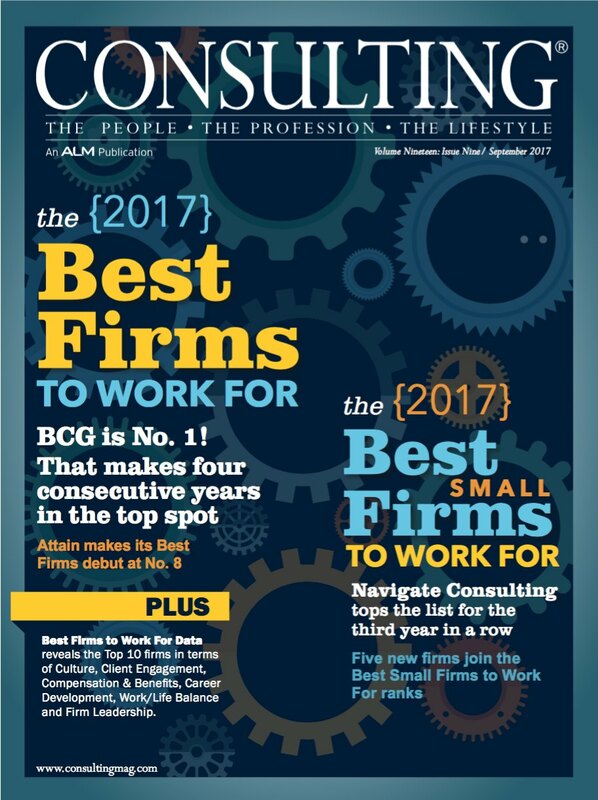 And MorganFranklin tops the best Small Firms to Work For ranking. Talent and workforce challenges, and opportunities, loom large in the technology revolution, but HR nally has what it’s always wanted—a strategic seat at the table. It’s time for them to deliver on the mandate. 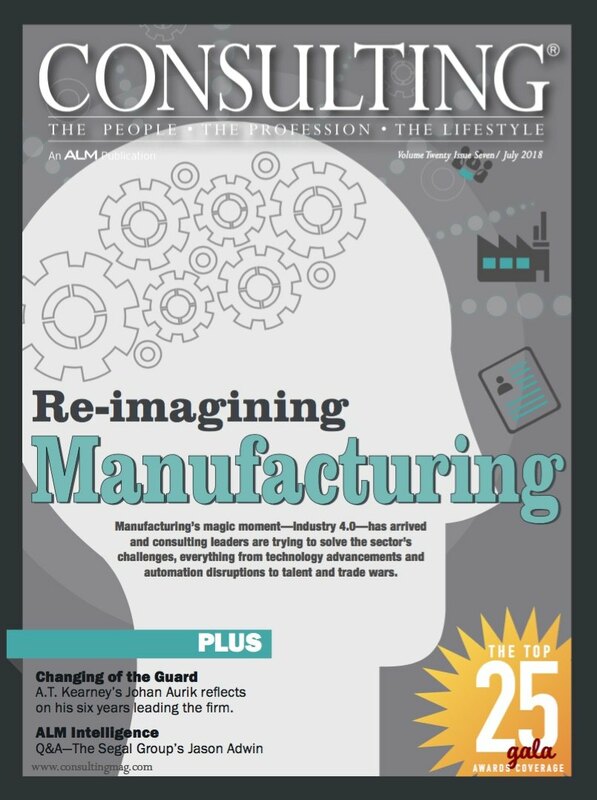 Manufacturing’s magic moment—Industry 4.0—has arrived and consulting leaders are trying to solve the sector’s challenges, everything from technology advancements and automation disruptions to talent and trade wars. 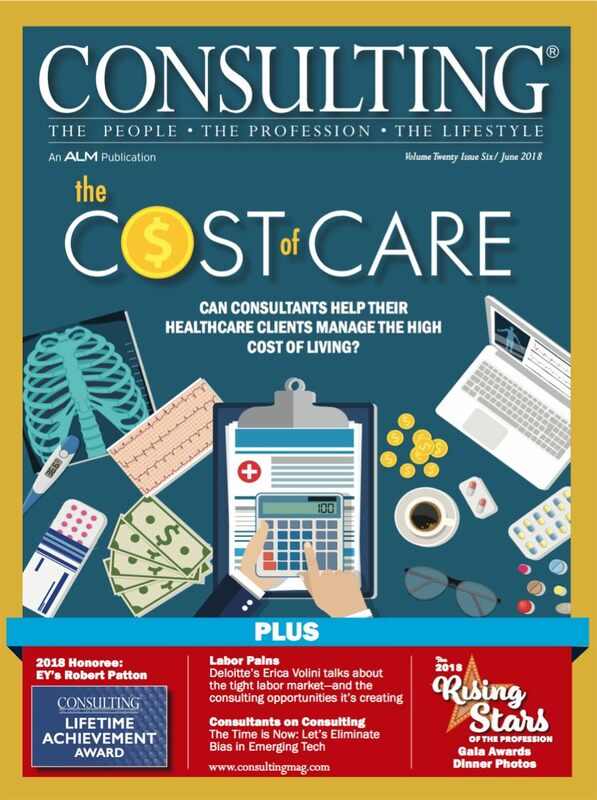 Can consultants help their healthcare clients manage the high cost of living? Plus, EY's Robert Patton is the 2018 Lifetime Achievement Award Winner. In our annual Top 25 Consultants issue we take a break from covering the news that’s impacting the industry and focus instead on who is making the impact in the industry— our 2018 Top 25 Consultants. And—spoiler alert—their impact is enormous! 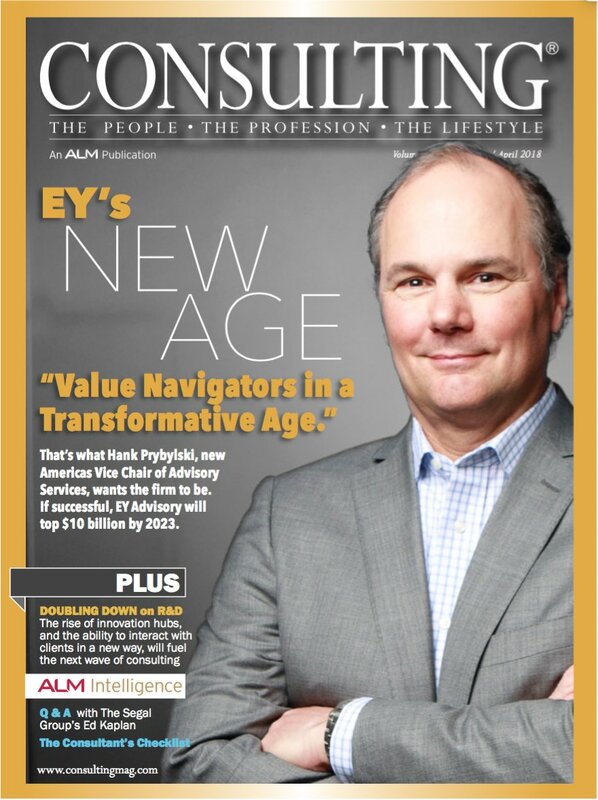 Hank Prybylski, EY’s new Americas Vice Chair of Advisory Services, wants better-connected consultants to be ‘value navigators in a transformative age.’ If successful, EY Advisory will double revenue to top $10 billion by 2023. 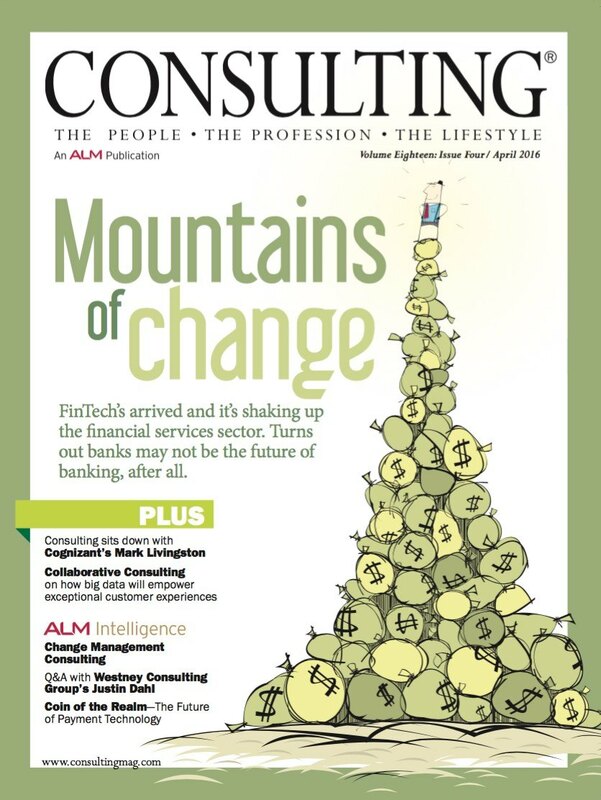 We’ve seen the future of consulting... and it looks really good. Don’t believe us? Well, we’ll prove it. 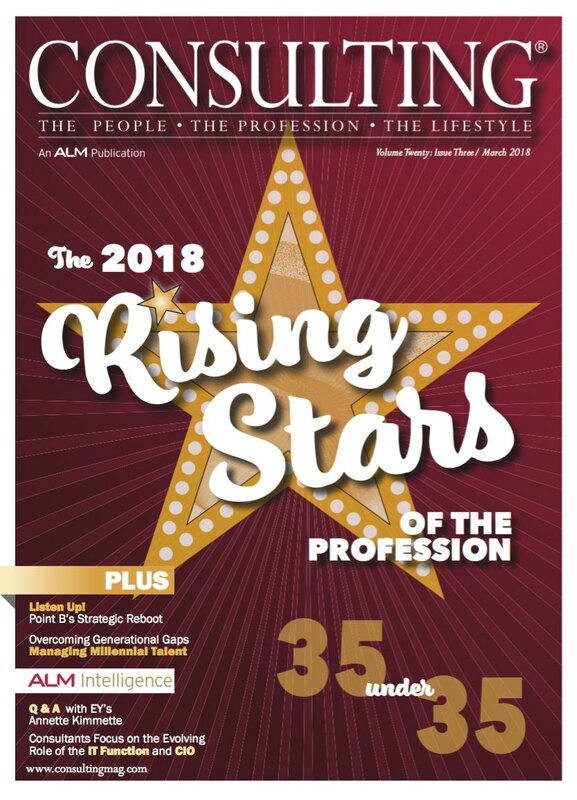 In this issue, we highlight the best young talent the profession has to offer. And from where we sit, this next generation of consultants is poised to do many great things. 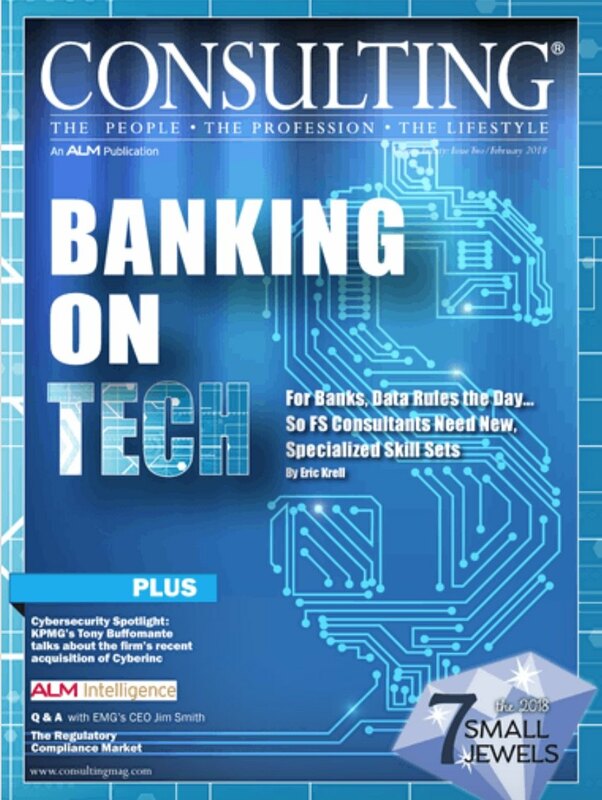 For Banks, Data Rules the Day... 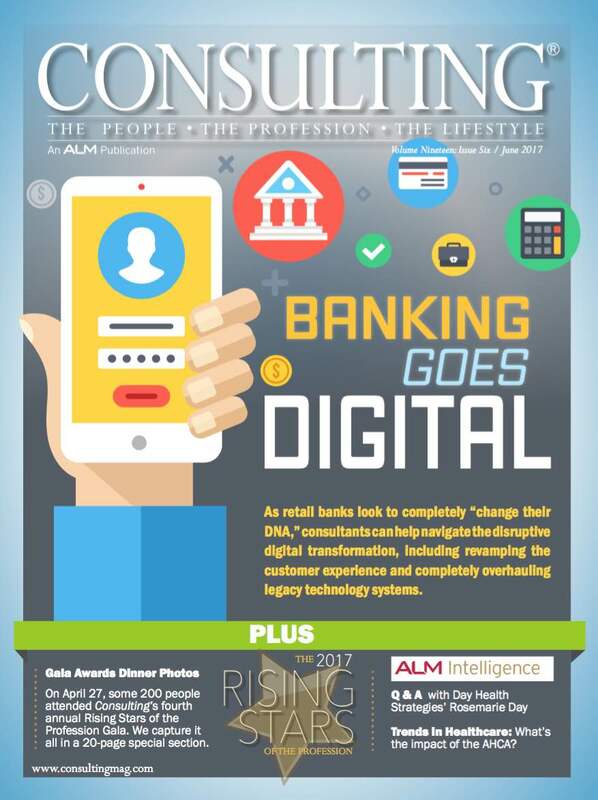 So Financial Services Consultants Need New, Specialized Skill Sets to Lead the Charge of Banking's Technological Revolution. Plus, Consulting's Seven Small Jewels. Consulting is a global business. Firms are global; business is global; clients are global. 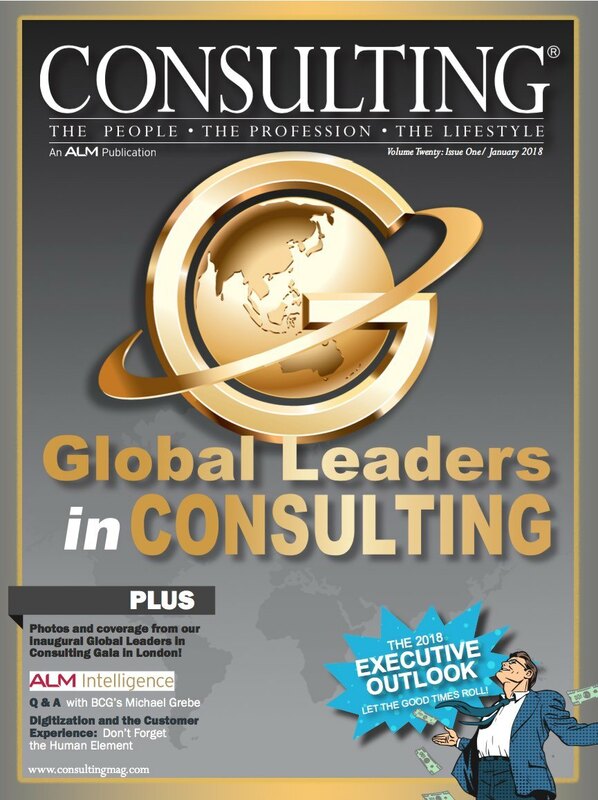 And Consulting magazine is global. 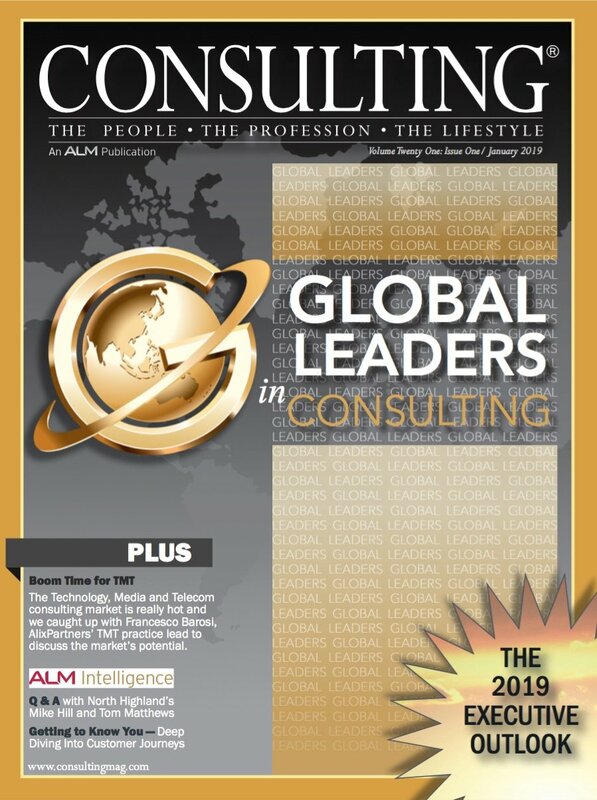 That's why we launched a brand new award to celebrate The Global Leaders in Consulting. 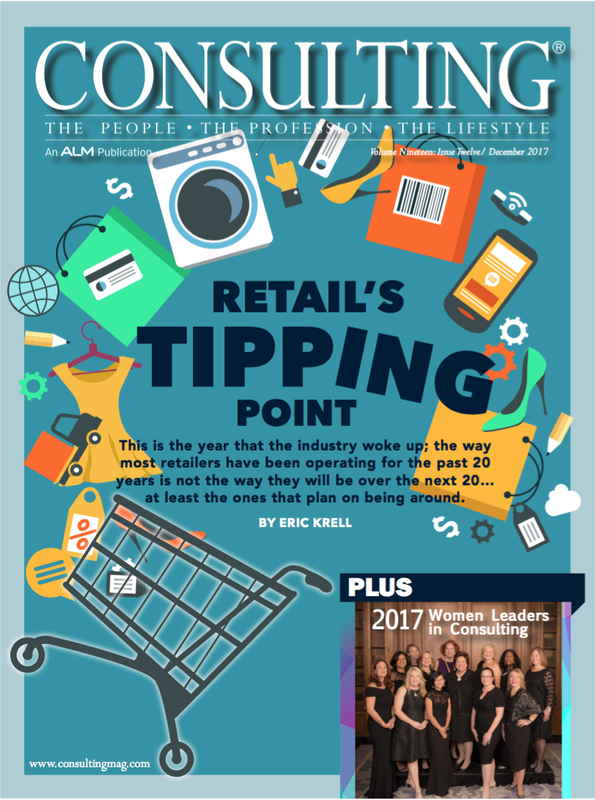 This is the year that the industry woke up—the way most retailers have been operating for the past 20 years is not the way they will be over the next 20 years... at least the ones that plan on being around. 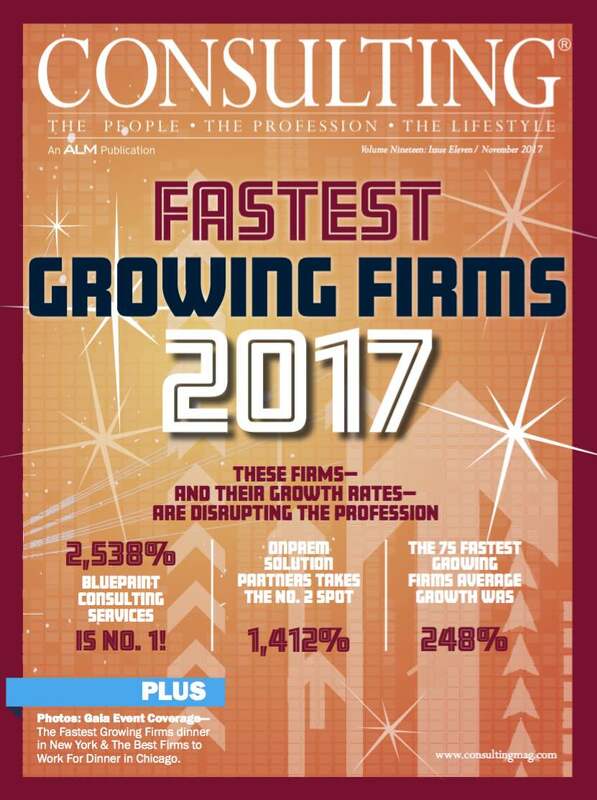 The Fastest Growing Firms award is designed to shine a light on those firms that are making their impact through revenue growth—all too often those firms fly under the radar. These firms are the future and thus, deserve to be recognized. 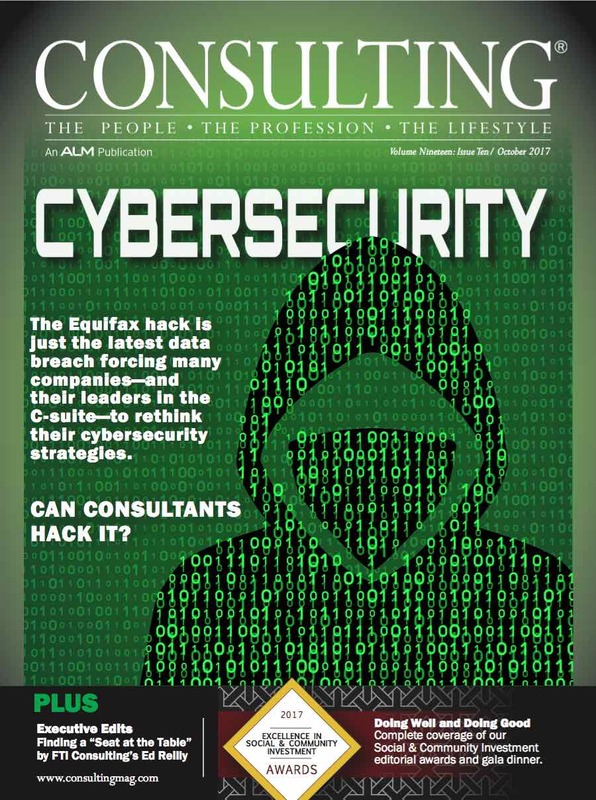 The Equifax hack is just the latest data breach forcing many companies—and their leaders in the C-suite—to rethink their cybersecurity strategies. Can Consultants hack it? The impressive run continues. 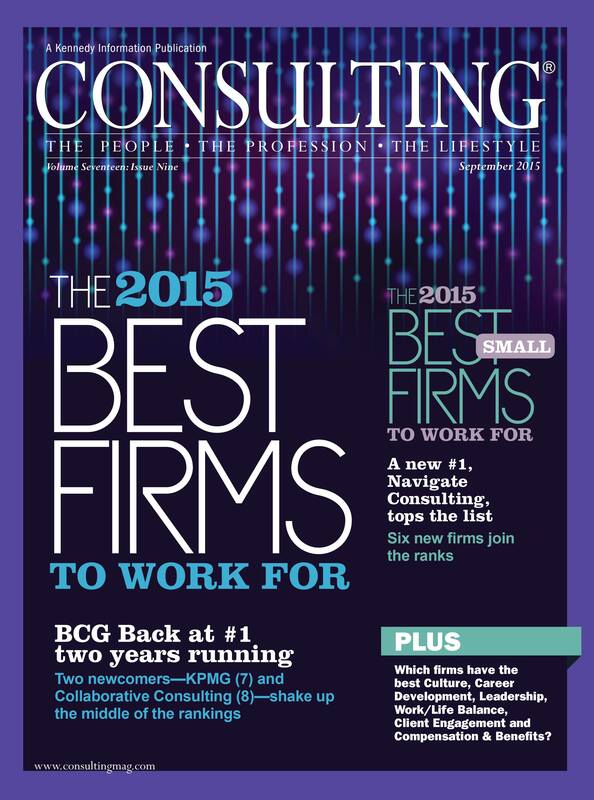 Make it four years and counting for The Boston Consulting Group as the No. 1 firm in our annual Best Firms to Work For survey. Meanwhile, Navigate is back atop the Best Small Firms to Work For ranking. 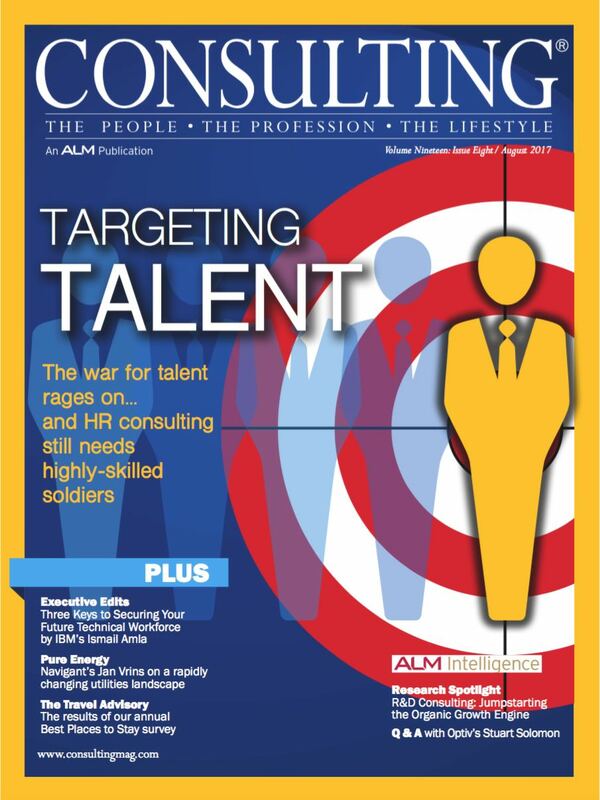 Targeting Talent: The war for talent rages on... and HR consulting still needs highly-skilled soldiers. 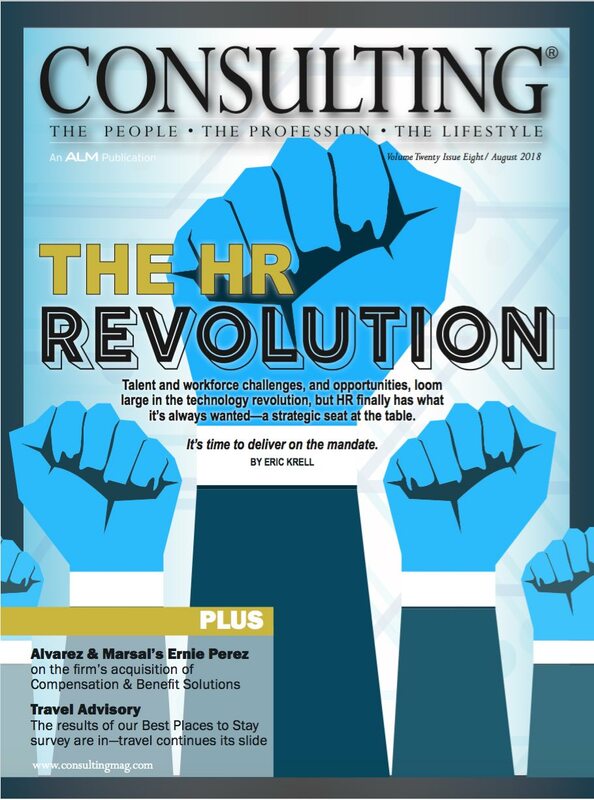 Today, the War for Talent, HR consultants emphasize, has evolved into a far-reaching struggle for skills. Things are getting tense in the U.S. public sector. Sagging revenue, a demographic crunch, surging cybersecurity risks and a technological reckoning confront firms as most budgets are shrinking. 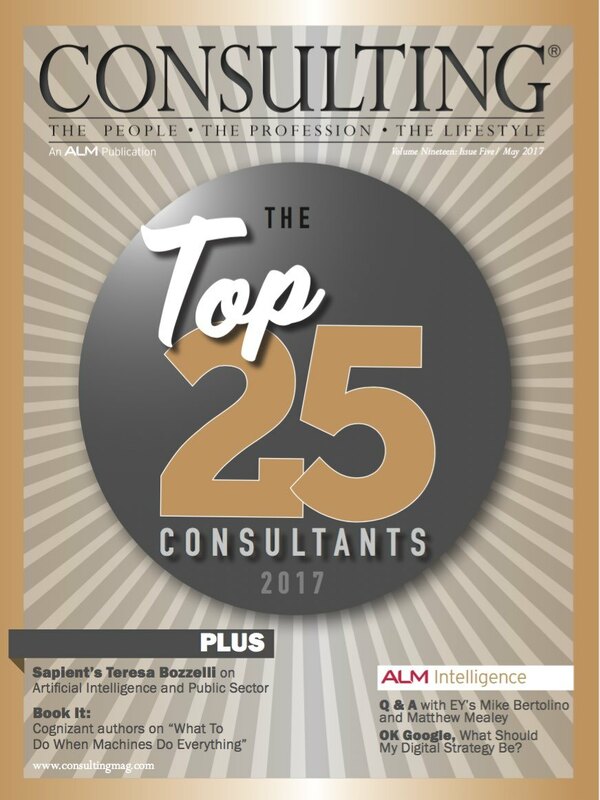 In our annual Top 25 issue we take a break from covering the news that’s impacting the industry and focus instead on who is making the impact in the industry—our 2017 Top 25 Consultants. 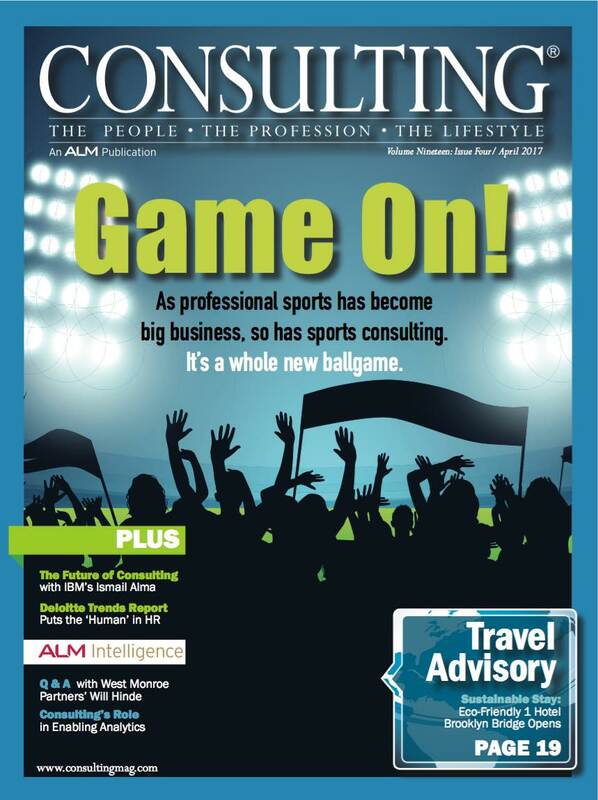 As professional sports has become big business, so has sports consulting. Franchises are turning to consulting firms to assist with everything from attendance and analytics to promotion and player evaluation. It's a whole new ballgame. 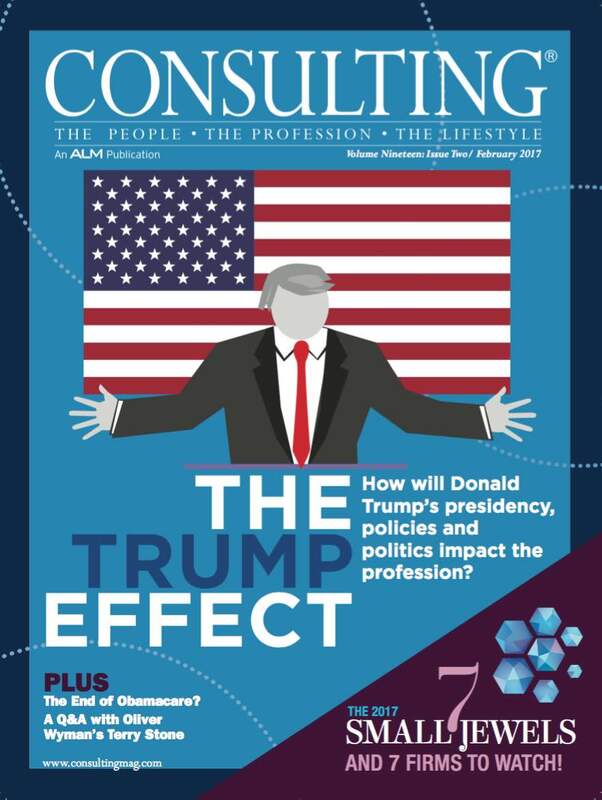 It’s safe to say the future of the consulting profession is strong. But don’t take our word for it, see for yourself. 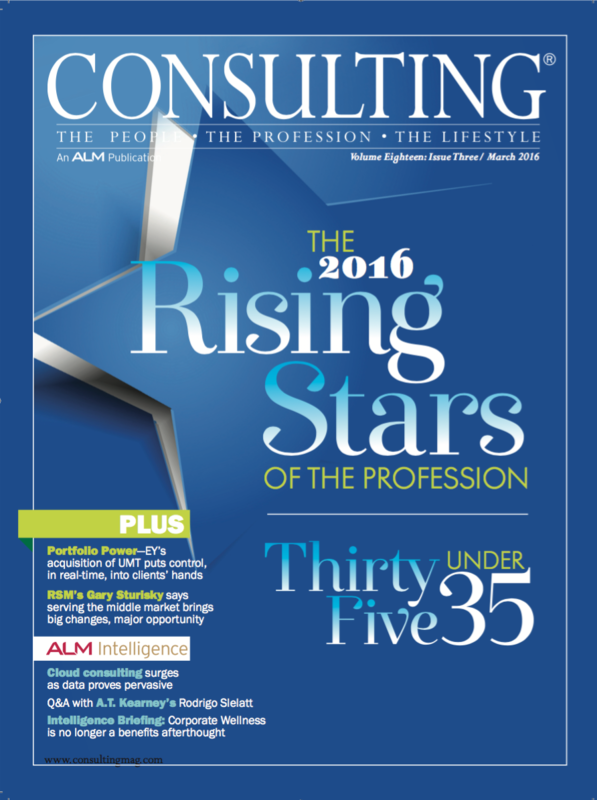 In this special issue, we highlight the best and brightest—and youngest—in consulting. Given the magnitude of potential policy and legislative changes looming, the next 11 months are going to be a boon to most companies and their consulting partners. Unless, of course, those changes never materialize because they are trumped by legislative gridlock. The results of our annual executive outlook are in—and the numbers are promising. Onward and upward would seem to be the mantra this year as both the results of this year’s Executive Outlook survey and our exclusive interviews with firm leaders indicate. With a tumultuous technology transformation underway, the manufacturing sector is gearing up for its digital revolution. And consultants could be the key to productivity and profits. 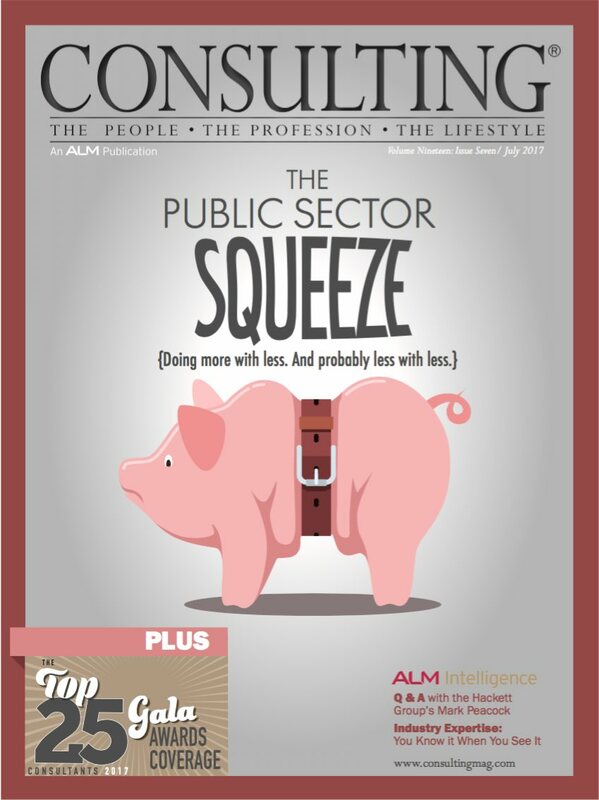 Consulting is out to recognize the firms that are shaking up the profession from the bottom up, and one of the best ways to do that is through growth. These firrms are the future and thus, deserve to be recognized. After all the uncertainty that surrounded the passage of the Affordable Care Act, healthcare professionals were hoping for clarity. What they got instead is more uncertainty. 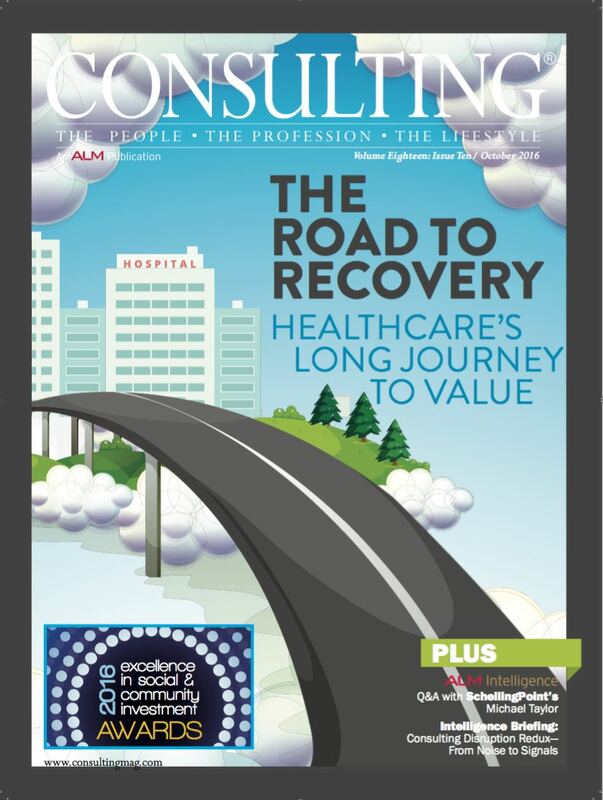 Can consultants be the cure? 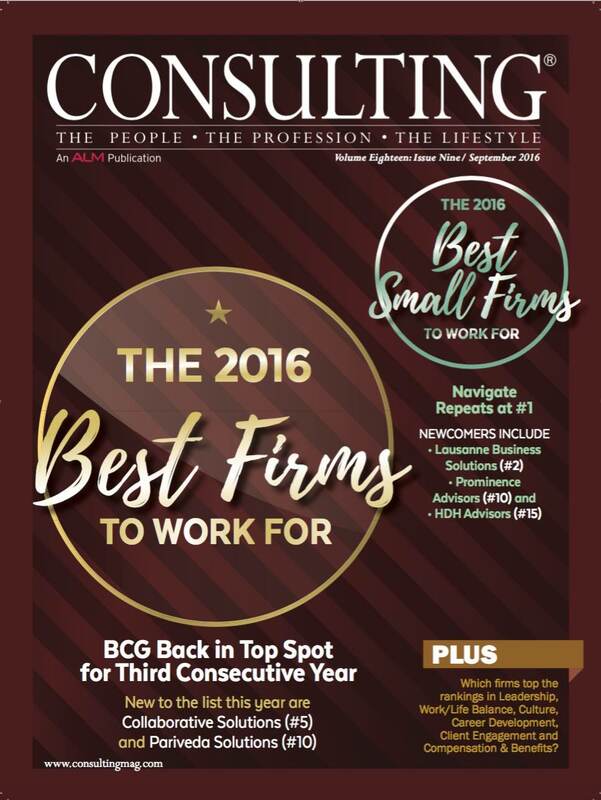 Make it three years and counting for The Boston Consulting Group as the No. 1 firm in our annual Best Firms to Work For survey. Overall, survey results indicate satisfaction levels have remained incredibly consistent—and incredibly positive. 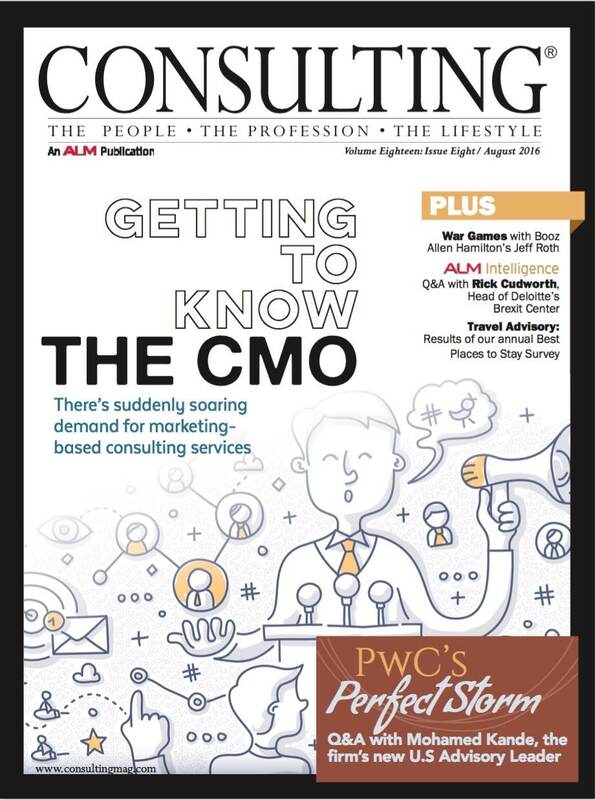 Thanks to digital transformation, an explosion of marketing automation technology and breakthroughs in the tracking of customer behavior, there’s suddenly soaring demand for marketing-based consulting services. 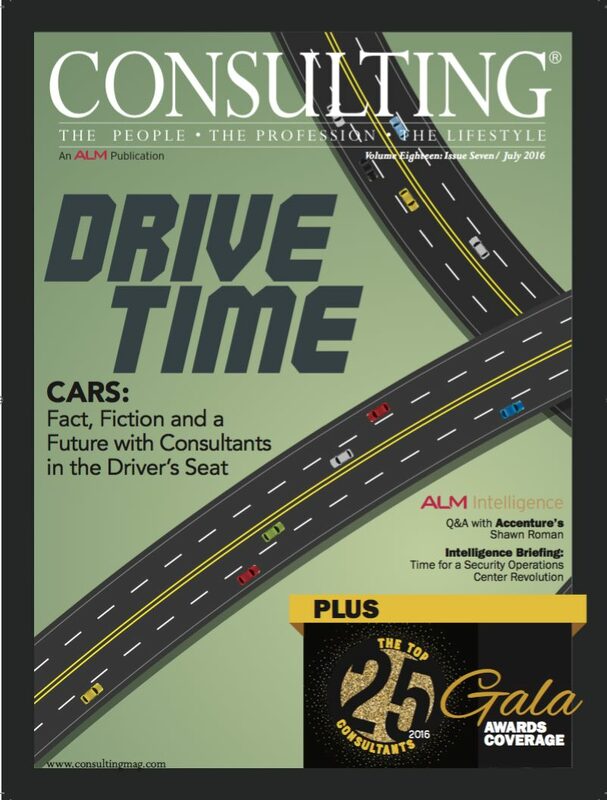 From alluring innovations like autonomous vehicles, electric vehicles and connected cars, the automotive industry generates incredibly valuable consulting opportunities: The industry is highly capital-intensive and cyclical. Take it to the bank—you heard it here first. Consulting's Next Big Wave? 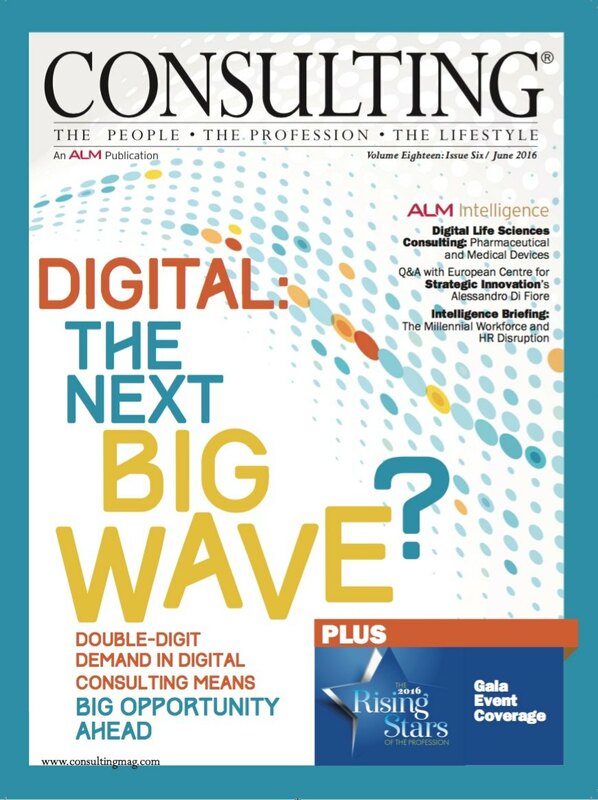 Digital consulting may be the defining force of a consulting generation... and double-digit demand has firms scrambling to define, structure, expand, deploy and differentiate their digital-consulting offerings. 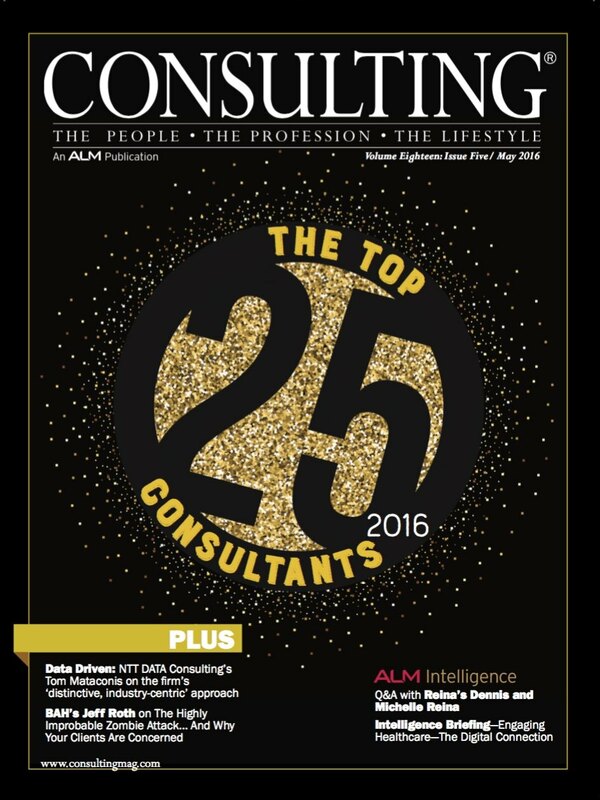 In our annual Top 25 Consultants issue we take a break from covering what’s happening in the industry and focus instead on who is making it happen—our 2016 Top 25 Consultants. As is often the case, we were simply blown away by the stories. Turns out banks may not be the future of banking. FinTech’s here and it’s shaking up the financial services sector. This mandate for change exists at a point when banking’s future is also being shaped by sagging oil prices, stagnant interest rates and brand new regulatory challenges. 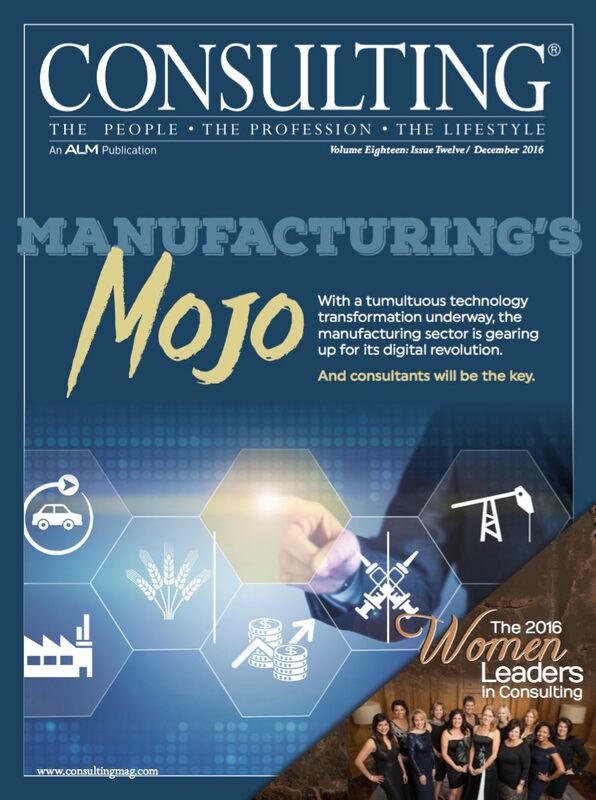 We're happy to report that the future of consulting is strong. Don't believe us? Well, we can prove it. 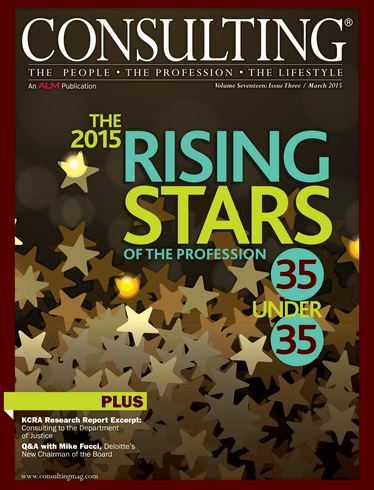 And we will in this Rising Stars of the Profession issue. In consulting, everyone knows the firm with the best talent wins. Well, we'd like to alter that old adage just a bit. What's better than talent? Young talent, of course. 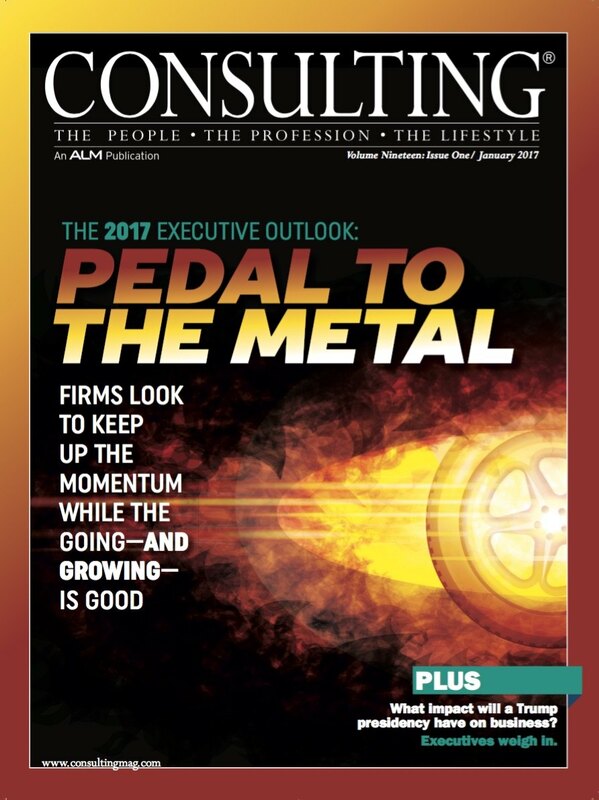 The results of this year's Executive Outlook survey, combined with exclusive interviews with 15 firm leaders, would indicate a very positive year lies ahead for the consulting industry. Based on our interviews, consulting firm leaders feel as confident as they have in quite some time. 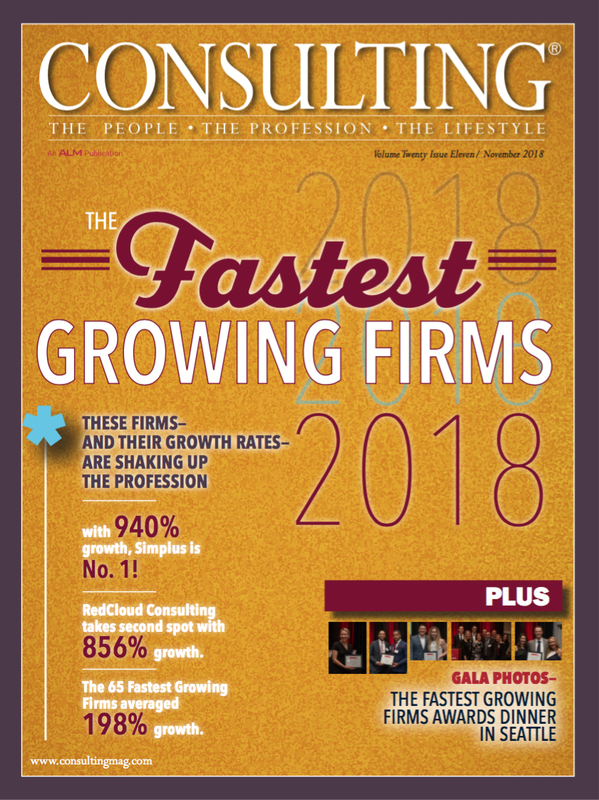 Consulting's Fastest Growing Firms is designed to shine a light on those firms that are making an impact through growth—all too often those firms fly under the radar. These firms are the future and thus, deserve to be recognized. In all, 51 firms (including a tie at No. 34) qualified for the ranking. 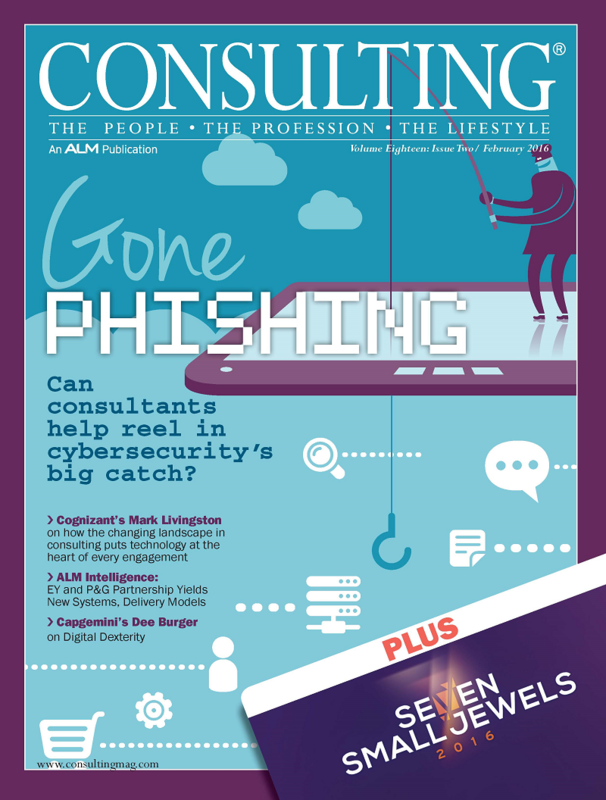 The activity soon to be formerly known as operations consulting is moving beyond operations. A decade ago, operations consultants delivered advisory services that produced significant value. So much value that the bulk of operations-improvement value now resides within operations and other parts of the organization. 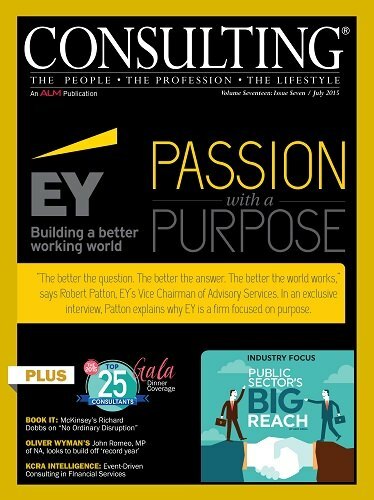 Consulting magazine recognizes that some of the most satisfying client work that consulting firms are doing these days is for a higher purpose. And now, we're back to honor and formally recognize these efforts with our second-annual Excellence in Social & Community Investment awards. 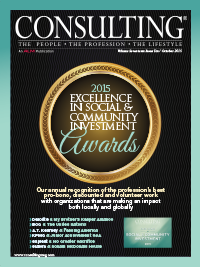 Make it two years running for The Boston Consulting Group as the No. 1 firm in our annual Best Firms to Work For survey. Overall, survey results indicate satisfaction levels are up for firm employees, according to most categories the survey measures, with the Compensation & Benefits and the Culture categories serving as the only exceptions. Dropping oil and natural gas prices, regulatory transformation and technological disruption means an increase in need for innovative utility consultants ready to help clients meet the demands of a new energy consumer. “The better the question. The better the answer. The better the world works,” says Robert Patton, EY's Vice Chairman of Advisory Services, highlighting the next phase of EY's brand evolution. Patton says the firm is fully focused on purpose-led transformation. 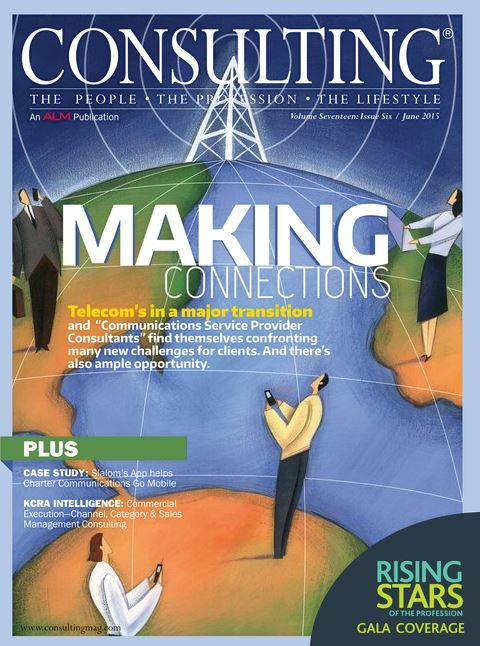 Telecom's in a major transition and “Communications Service Provider Consultants” find themselves confronting many new challenges for clients. And there's also ample opportunity — especially in compliance, competition, consolidation and cost. 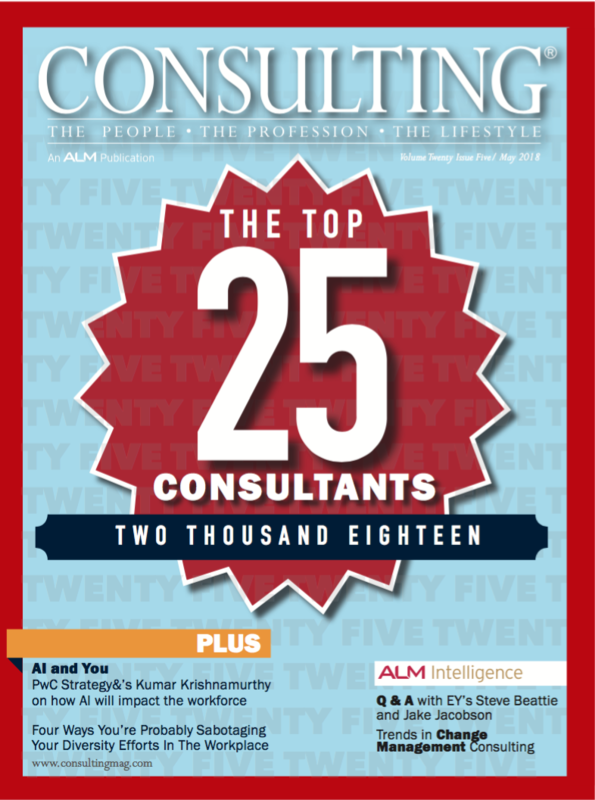 In this, our annual Top 25 Consultants issue we're able to take a break from covering what's happening in the consulting industry, and focus, rather, on who is making it all happen. This year we received about 400 nominations, and that's always great news. 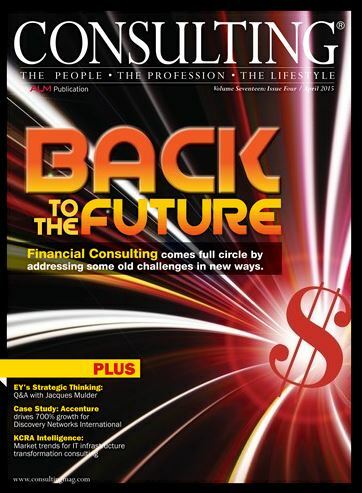 Financial Consulting's Come Full Circle. The intense Sarbanes-Oxley compliance efforts of the mid-2000s rekindled attention on the need for enterprise risk management and related governance, risk management and compliance efforts. 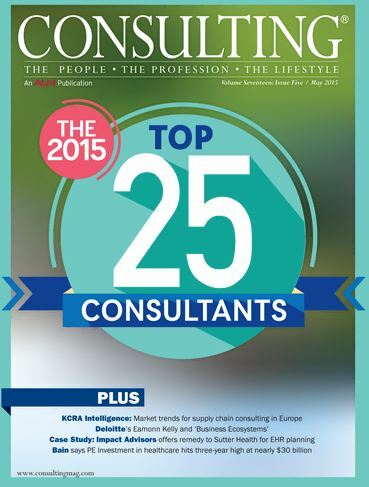 The consulting profession is stocked with young talent. 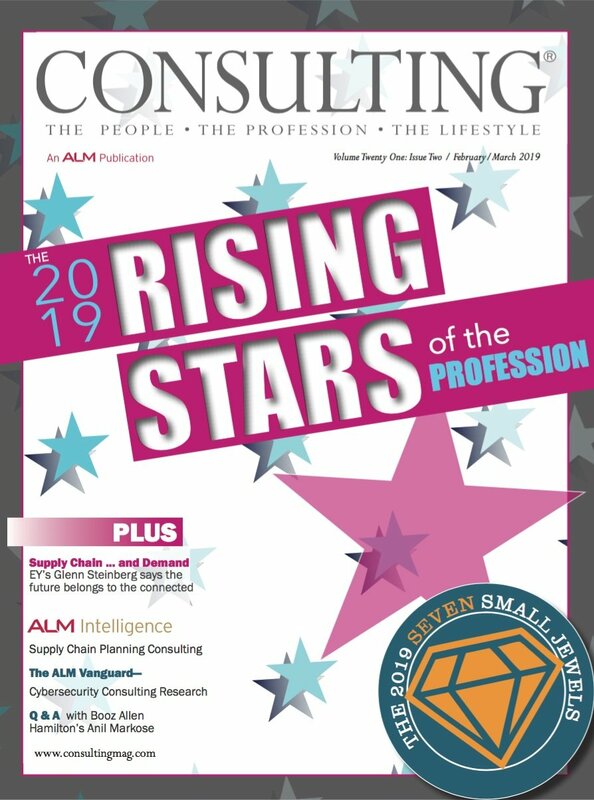 So much so that we've assembled our second annual special Rising Stars of the Profession award section to highlight all of their achievements. Read about their accomplishments. big business. However, some consultants say tread lightly and beware of the boom. 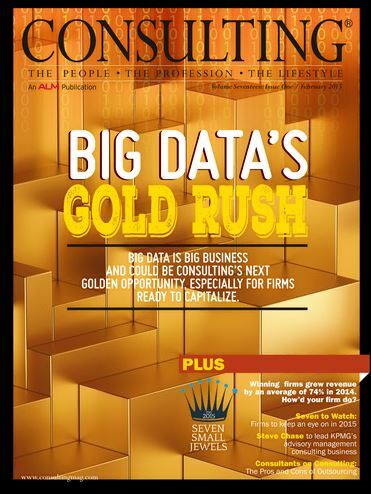 Either way, Big Data is the consulting profession's golden opportunity, especially for firms set up to take full advantage if it. 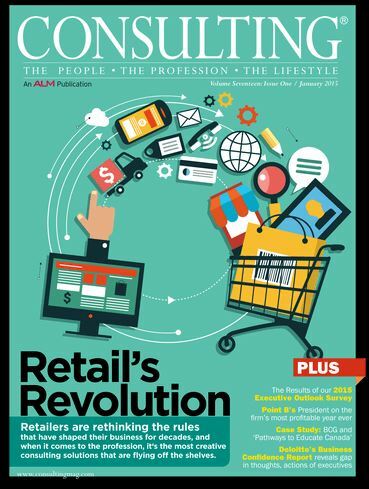 Retailers are rethinking the rules that have shaped their business for decades. Breakthroughs in digital and mobile technology as well powerful emerging forces are forcing retailers to re-imagine the fundamentals of retail, including a glut of brick-and-mortar space.